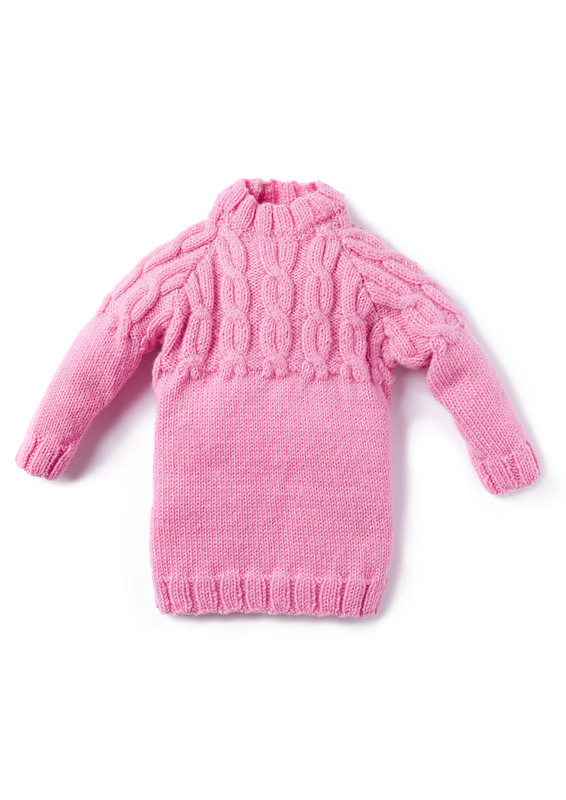 This round necked raglan pullover features thick fluffy cables on the yoke for extra style and warmth for your little one. Choose from a wide range of colors from either Baby Smiles Merino Wool 100% wool, Baby Smiles Bravo Baby 185 100% acrylic, or Baby Smiles Cotton 100% cotton. All Baby Smiles yarns are extra soft on your baby’s skin, chemical free and easy care. In six sizes to fit babies from 3 months to 2 years old.